I've had a printer for months now, it's about time I printed a cube. These tiles don't snap together, instead they're held by fishing line or paperclips. 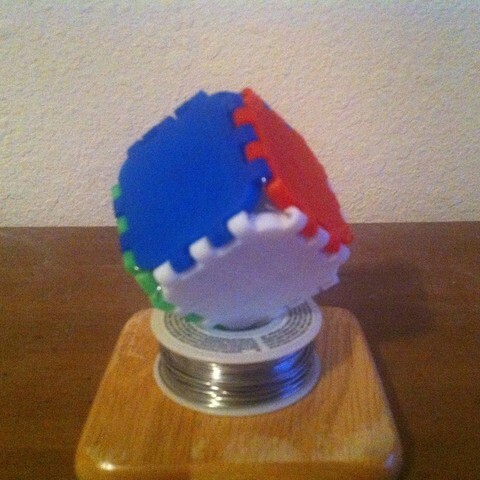 Print at least six of them, in as many colors as you want, and construct any right-angle shape out of them, like this cube.